According to the Lego Friends website, Olivia would like to be a scientist or engineer. Fast forward to the semi-distant future and it looks like Olivia has accomplished her goal. 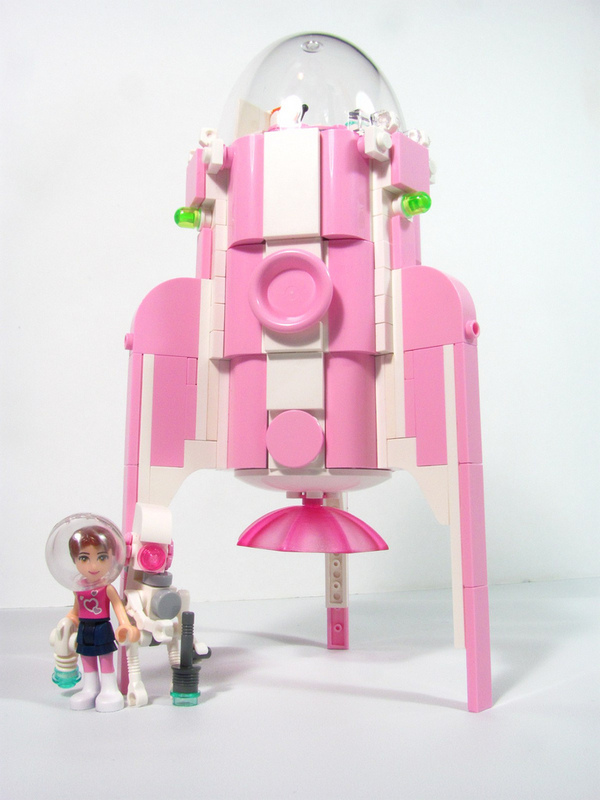 Having just completed building her new spaceship, nicknamed “Flash,” Olivia is ready to see the universe. Knowing that it would be a lonely adventure, Olivia also invented and built a robot copilot named SNAFU (Stellar Navigation Artificial Friend Unit). 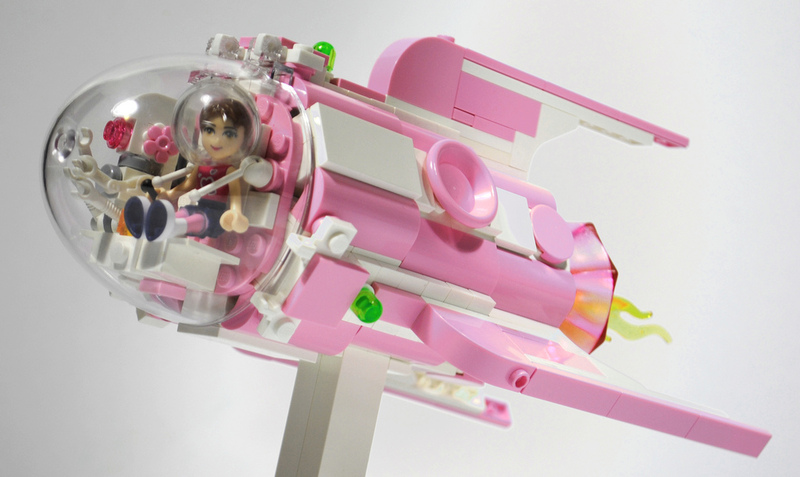 This is a super retro Lego rocket ship designed by Shuppiluliumas. This Lego Friends MOC is featuring a very sleek design, dinner plates for engine details, and even an umbrella for the rocket. Accompanying Olivia is a fun little robot, made out of a bunch of tiny parts. This is one elegant starship.